Are you dissatisfied with the appearance of your smile? Do you have missing, damaged, or discolored teeth that are compromising the integrity of your pearly whites? Fear not; there are several cosmetic procedures that can restore your smile in no time. Your dentist can help you decide which material is best for you. Depending on what qualities are most important to you, your preferences may shift. If you have a discolored or misshapen tooth, you may want to go with porcelain or ceramic, as these can be tinted to match the natural color of your teeth. However, if durability is what you’re after, you can’t go wrong with gold. 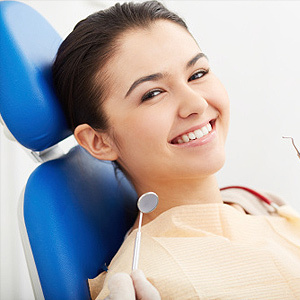 At Hockaday & Baucom, we believe that having a healthy smile can open many doors. Our two lead dentists are committed to providing the best quality care to their patients. If you have been unhappy with or embarrassed by your discolored or unhealthy teeth, you don’t have to be dissatisfied with your smile any longer. Let the highly qualified staff at Hockaday & Baucom restore your smile and your confidence with their cosmetic dentistry procedures. To learn more about dental crowns or other cosmetic dentistry procedures in the Charlotte, NC area, call (704) 553-2348.